The planet is doomed unless humans achieve zero net “carbon” emissions within 40 years—and maybe even if we do. That’s the word from 11 co-authors, led by Johan Rockstöm of the Stockholm Resilience Centre, of a pseudo-scientific screed published August 24 in Earth’s Future, an open-access online journal of the American Geophysical Union. 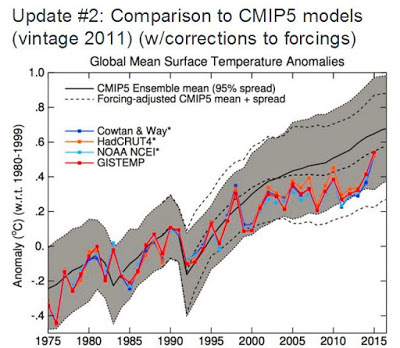 First, the computer climate models on which predictions of rapid warming from enhanced atmospheric greenhouse gas concentration are based “run hot,” simulating two to three times the warming actually observed over relevant periods—during which non-anthropogenic causes probably accounted for some and could have accounted for all the observed warming—and therefore provide no rational basis for predicting future GAT. Second, nobody—but nobody—has demonstrated scientifically that global average temperature (GAT) no more than 2° C above the pre-industrial average (the limit aimed for by the Paris agreement) is optimal, or that GAT higher than that will even be net harmful, let alone catastrophic. Third, the aim of “Earth-system stability” is scientifically absurd—undefined, unnatural, and unachievable. Natural systems—especially coupled non-linear chaotic fluid-dynamic systems like Earth’s climate—are not, never have been, and never will be stable. Nobody knows what “Earth-system stability” would look like. Climate change is Earth’s natural state; climate stability is science fiction. Fourth, saying that “waiting another decade for transformative policy and full commitments to fossil-free economies” would be a “catastrophic failure of policy” with “irreversible and deleterious repercussions for humanity’s remaining time on Earth” is sheer fearmongering without a shred of scientific evidence. Even ice ages aren’t “irreversible”; no empirical evidence (as opposed to modeled hypotheses) suggests that a warmer Earth is worse for humans than a cooler Earth; and human history tells us the opposite. “Warmer periods are called optima because for human civilization, and much of nature, warm is better than cold,” writes Michael Hart in Hubris: The Troubling Science, Economics, and Politics of Climate Change (Kindle location 3197). Fifth, even if real scientific investigation (which doesn’t stop with modeling but tests models by empirical observation) could tell us that, say, falling 50% short of net zero “carbon” emissions would raise GAT by, say, 3° C and that that, in turn, would cause significant harms, that wouldn’t tell us how we ought to respond. Empirical science tries to describe the way the world works. It doesn’t—it can’t—tell us what we ought, morally, to do in response. Sufficiently wealthy people can thrive in any climate and are better protected against all extreme weather events than poor people. If human health and longevity are a significant aim of policy, then the increasing prosperity facilitated by the energy derived from GHG-releasing hydrocarbon fuels will outweigh the increased climate-related risks even if the climate alarmists are right. As Indur Goklany has shown, even assuming that the climate models on which the Intergovernmental Panel on Climate Change (IPCC) accurately predict (rather than exaggerate by 2 to 3 times) the warming effect of added CO2 in the atmosphere, people the world over, and especially in developing countries, will be wealthier in warmer than in cooler scenarios, making them less vulnerable than today to all risks—including those related to climate. Full implementation of all nations’ commitments under the Paris agreement, at a cost of $1 to $2 trillion annually from 2030 onward, would, as Björn Lomborg calculates even while assuming the IPCC’s exaggerated estimates of CO2’s warming effect, reduce GAT in 2100 by just 0.17° C, an amount too little to have significant impact. NOTE: Calvin Beisner, Ph. D., is National Spokesman, Cornwall Alliance for Environmental Stewardship, and a CFACT advisor. I find it a sad indictment on such passionate believers that are unable to show any truthful facts and unmodified data to support their argument, or explain the mechanism for the carbon theory. The best I see relies on minute amounts of energy in the transfer of infra red heat within particle physics. Asking for quantities involved is ignored but Prf Planke calculated the smallest amounts of heat were measured in 10 to the -43. This seems to an engineer as the square root of bugger all! The kook, Dano, is getting desperate. Look at all the garbage he posts as some sort of proof. Only to OCD kooks like him will that be proof. A sad case for sure. Smart people would directly refute the comment, instead of running away and calling names from afar. No word on why you avoid refuting the information and instead run away. There is no need to refute your garbage, fool. Tell us when you are capable of ending your posts without your phony ‘best D’ crap. You are a joke. Poor one at that. Still no word on why smart people would refute the assertions, yet you can’t refute anything I typed, nor why you run away. Pot calling the kettle black? You never argue you position on c02! You never acknowledge I did long ago and you had no answer for it, and you never acknowledge every time that I point out I did you flail and wail and flounce and change the subject and prance about trying to make it go away. You presented your belief, this not an explanation of the mechanism and I have given my reasons for doubting these theories. When big social and economic changes are mooted as required to avert a Global disaster you need to show very good reasons for doing so. This you have failed to do, so why would we join a consensus of folk who are unable to explain their belief? He can’t supply the information because HE is NO scientist. He’s a parrot, a lemming. All he can do is try to condescend to hide his inadequacies. He must suffer a severe form of OCD. Haven’t you recognized that it is impossible for him to make a post without adding his phony ‘Best D’ at the end? He is one sorry case. His mind is as vacuous as his avatar. I’m not running anywhere, clown. You can’t prove AGW and THAT is a FACT. You are a kook who can’t make a post without your phony ‘best D’ attached. Another FACT. We still have no word on why smart people would refute the assertions, yet you can’t refute anything I typed. That is: still waiting on the refutation of a single byte that I typed. Any byte. Any byte at all. Just one. Any one. Science doesn’t prove…blah…blah…blah….The same weakassed bull crap you continue to spout, kook. tell us when you’ll EVER be able to make a post without your phony ‘Best D’ at the end…..hmmmmmm????? LMAO at the idiot troll. The very basis of scientific inquiry is bullcrap, everybody! We see the problem with poor hapless Isandhlwana79 immortal now. Dano the kook, everybody. He can’t make a post without attaching his phony ‘Best D’. You are the definition of KOOK. Why is this so utterly wrong? What is wrong with this author? Here’s the very latest on how the models are doing. 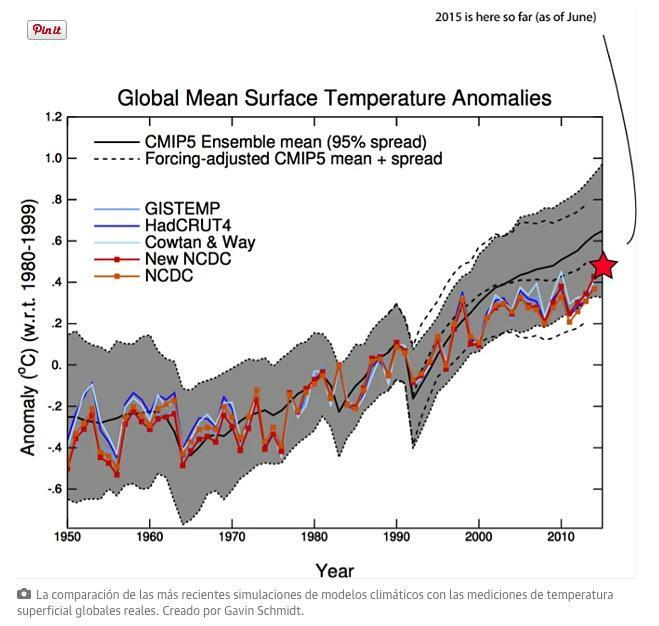 Lots of graphs with minimum explanation of how exactly the c02 molecule causes warming on the scale you project. Tell us what sort of % the man made bit causes? Show how the CO2 credits are helping the climate, when this tax only encourages more c02 production in the third World? So far its Mickey Mouse explanations and the 1970’s produced the best warm weather in the UK, since 2005 its been much colder not warmer. 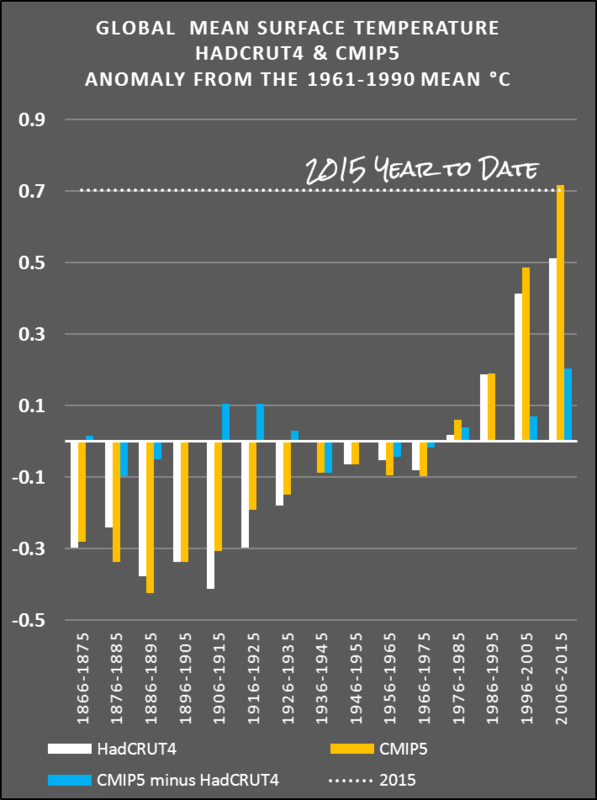 Despite what the resident kook says, AGW will go down as the biggest hoax in human history. Dano the OCD kook speaks…..LMAO at the fool. I appreciate the fact that LOLO can’t address the facts provided, never has, never will. That is: LOLO has no scientific evidence with which to refute a single word of any of the bullet points presented. I would address them if YOU had any. You don’t. Garbage is more like it. Phony graphs just like your closing ‘best D’ Phony……LMAO at the idiot troll. LOLO spending more energy running away from having to address the facts than addressing the facts. LOLO lacks capacity to show “phony”, likely a cheap dodge to continue running away from having to address the facts. You have NO FACTS, clown. You can’t show that CO2 causes anything you cite. A FACT. It isn’t for me to refute your garbage, kook. The burden of prove lies on you and YOU can’t substantiate any of it. Let us know when you are capable of making a post without your phony ‘Best D’ at the end? LMAO at the clown who thinks he knows something that he doesn’t really know. Still not addressing the facts provided. You have no FACTS, kook. Make a post without your phony ‘Best D’ and I might listen. Until then you are nothing more than a kook with a serious case of OCD. If the U.S. continues to react to the alleged threat of Global Warming/Climate Change(GW/CC), the result will be an immense drag on the economy. The Obama administration supported by agencies such as the EPA, NOAA, and NASA will severely hurt the poor, middle class, and businesses. Catastrophic GW/CC caused by human beings is a fraud. What if there has been no Global Warming since 1936? What if there is no correlation between carbon dioxide and weather or global warming? Do I believe that Global Warming/Climate Change (GW/CC) is real? 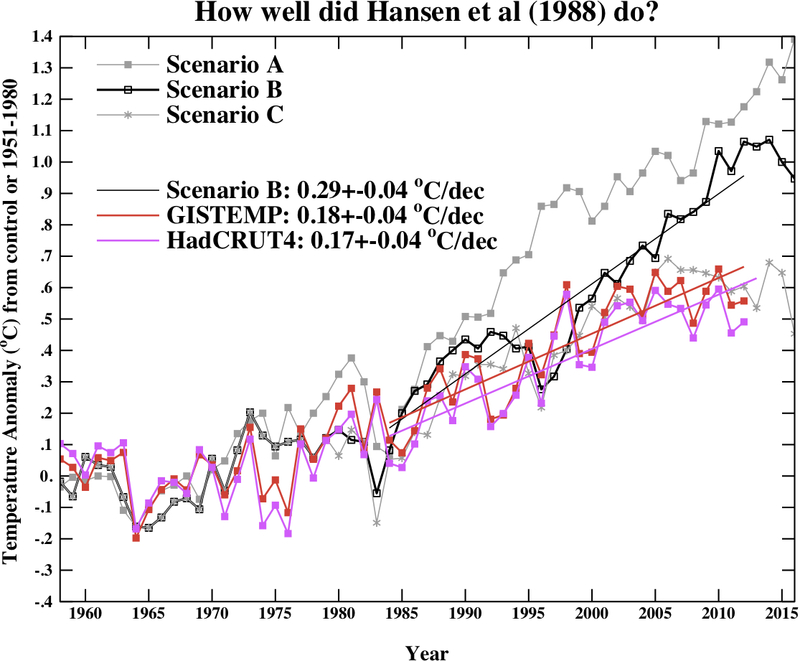 Yes, but the data doesn’t support catastrophic anthropogenic (human caused) GW/CC. 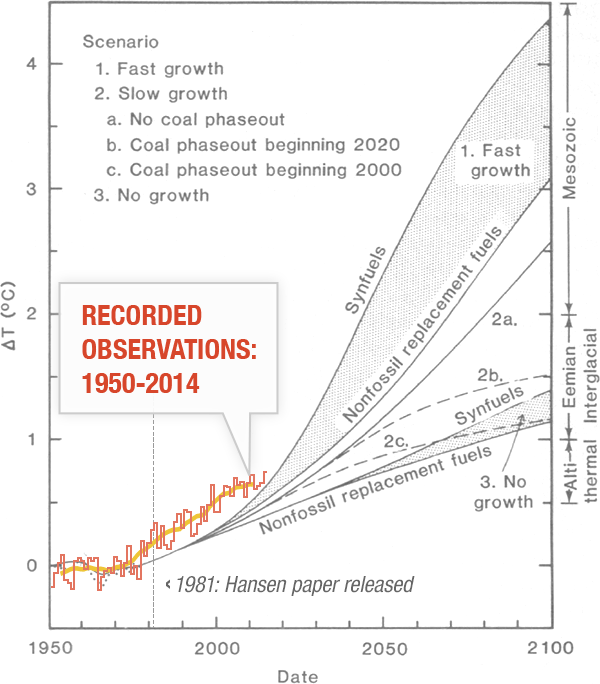 I don’t believe that controlling human generated carbon dioxide will change GW/CC enough to be measured. 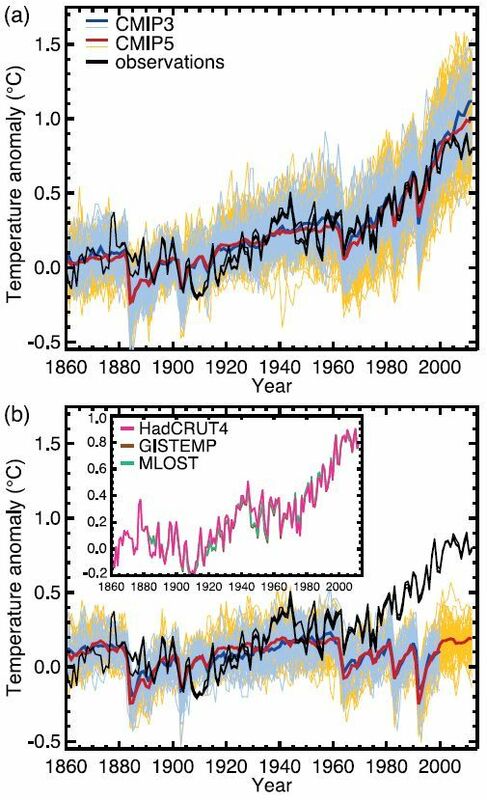 The temperature measurements made by the NOAA [National Oceanics & Atmospheric Administration] are evidence of GW/CC according to the Alarmists. The problem is that the NOAA ground station temperature measurements have been adjusted to indicate global warming. 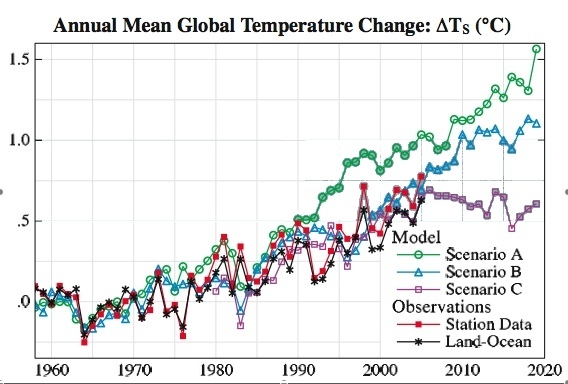 The referenced web page will show you that global warming as measured in the US hit a peak in 1936, then cooled until about 1975, warming from 1975 to 1998, and mostly flat-lining since then as measured by the UAH/RSS satellites for the last 18 plus years, The end result is a final temperature very close to the 1936 peak.So there has been no net global warming in the US. This temperature record shows no correlation to carbon dioxide. Why then are we wasting our money on solar/wind energy? This is what a successful solarwind policy will bring to the US: Expensive, intermittent power that varies as the weather varies, not matching demand that has to be constantly balanced with demand and 100% backed up by coal, or gas plants or some other quick reacting predictable power source constantly operating in the background. Why have we prematurely closed down perfectly good coal plants? Raising the cost of power (check out the cost of power in Germany) hurts the poor and the middle class. Read about California’s experience. Us citizens need to understand the problems of solar and wind power sources and not fear fossil fuels. The media is no help in this regard. Stop subsidizing solar and wind. Shut down the EPA, and reform the government agencies. They are lying to us. the result will be an immense drag on the economy. Almost everyone agrees that it will cost more to do nothing than to do something. It is the rare ______ that says otherwise. More BS from the kook. Another statement poor hapless Isandhlwana79 can’t address, so whines and pouts. You are so simple, kook. Instead of just saying, why not support your emotions by argument. “Almost everyone agrees”. Means nothing at all unless reason is argued? Don’t have a sads because I called the keyword for our Denialist Drinking Game. Turn that frown upside down! sads??? How old are you? You must be a Homo. You write like one! LMAO at the phony kook.